Renschke Volschenk is a Director of Emerging Capital Partners (ECP). Ms. Volschenk focuses on deal sourcing, investment appraisal, transaction execution and portfolio monitoring. Prior to joining ECP in 2014, Ms. Volschenk worked in EY’s Transaction Advisory Services practice in London where she advised on cross-border private equity and corporate transactions across a wide range of sectors in the UK and Europe. 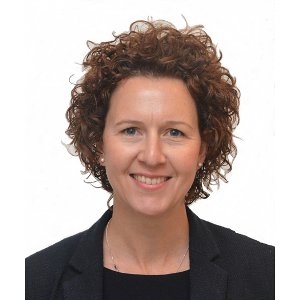 She joined EY in 2007 from Zenitel, a Euronext-listed provider of mission critical communication solutions, where she was responsible for analyzing strategic issues and managing projects aimed at revenue growth and operational excellence. Ms. Volschenk began her career at PwC in Johannesburg. Ms. Volschenk holds a bachelor’s degree in commerce with honors from the North-West University in South Africa and an MBA in International Management from Leiden University in the Netherlands. She is a member of the South African Institute of Chartered Accountants and the Chartered Institute of Management Accountants. She is a citizen of South Africa and the United Kingdom.